Lithium (pronounced as LITH-ee-em) is a soft metal with a silver appearance, represented by the chemical symbol Li. It belongs to the family of alkali metals and reacts spontaneously with water. 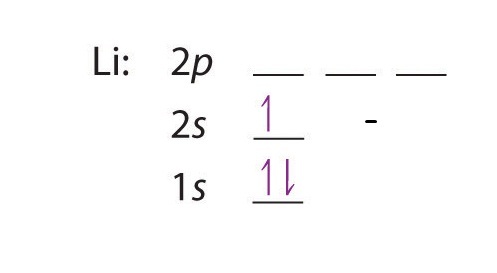 Out of its seven isotopes with mass numbers ranging from 5 to 11, only Li-6 and Li-7 have a natural existence. 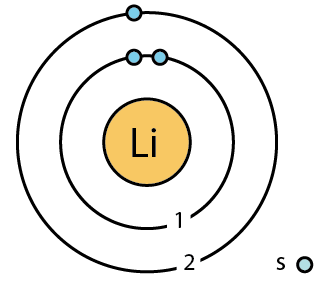 Li does not exist in the elemental form due to its high reactivity. 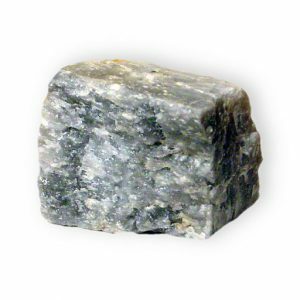 Instead, it can be found combined with igneous rocks such as spodumene in mines, underground water springs, and also as lithium chloride salts in brine pools. Lepidolite, petalite, and amblygonite are the other minerals comprising of the metal . Chile, Argentina, China, and Australia are its major producers . It is mainly obtained through electrolysis of potassium chloride and molten lithium chloride . Origin of its Name: The name of the metal is originally derived from the word ‘lithos’, meaning stone . In the 1790’s, a mineral suspected to contain an unknown metal was discovered by a Brazilian naturalist called Jozé Bonifácio de Andrada e Silva on the Swedish Island of Uto. In 1817, when Arfvedson studied the same mineral sample, he was sure about the presence of a new alkali metal having a lighter density than sodium. However, he failed to isolate it. 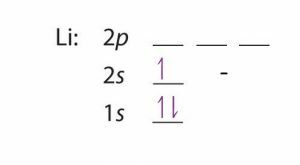 In 1821, another English chemist William Brande was a bit successful in extracting a minute quantity of the metal, but not sufficient enough for examination. 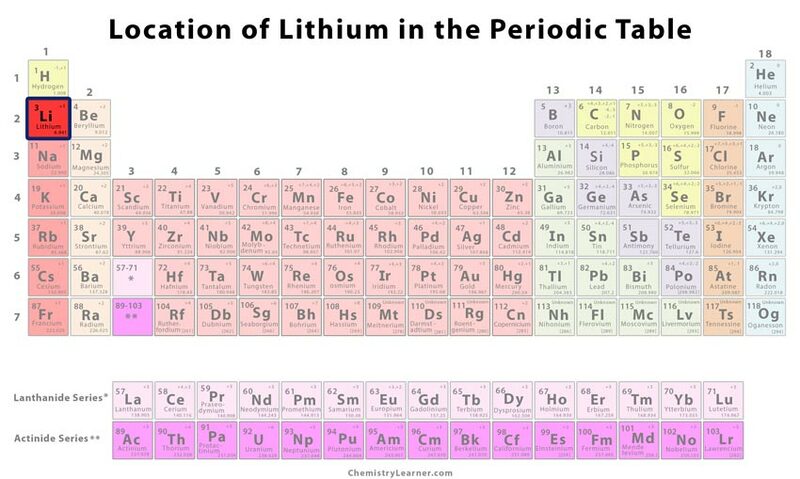 It was only in 1855 when Robert Bunsen, the well-known German chemist, and the British chemist, Augustus Matthiessen carried out the electrolysis of molten lithium chloride and obtained the new metal that was later named to be lithium . Rechargeable lithium-ion polymer batteries have high power density and low self-discharge that are applicable in cars, mobile phones, laptops, digital cameras, hard-wired smoke detectors, solar panels, and motorcycles. 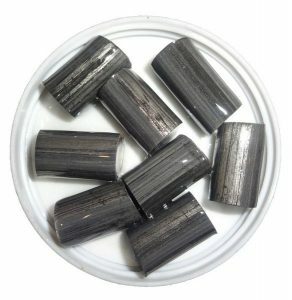 It is also used in non-rechargeable batteries of pacemakers, clocks, and toys . 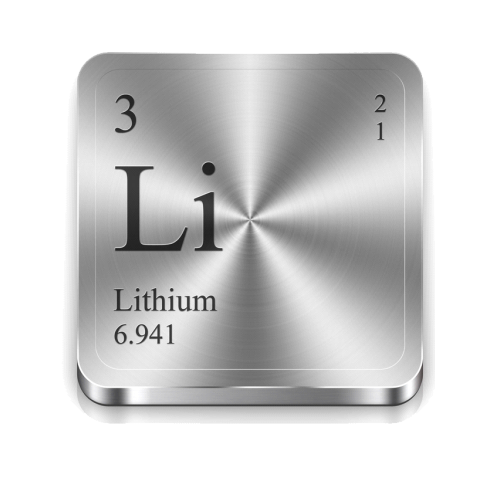 When alloyed with magnesium and aluminum, Li increases the strength of the metals and reduces their weight, making them useful in the manufacturing of aerospace, aeronautical engineering, bicycle, and high-speed train parts, and also in armor plating [9, 10]. 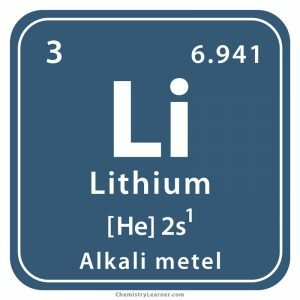 Several lithium salts are used in bipolar disorder and depression medications, glass ceramics, fuel storage, and air-conditioning refrigerants . Inhalation of lithium aerosol can cause shortness of breath, cough, burning sensation in the lungs, and sore throat. Adverse effects like burning abdominal pain, nausea, vomiting, and collapse have been associated with its accidental ingestion. If the dust of the metal comes in contact with the eyes or skin, it may lead to burns and redness . Since it is commonly used in medications and glass-making, excess accumulation over a longer period inside the body can severely affect the central nervous system, kidneys, and stomach . 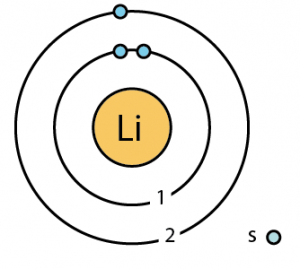 According to researchers, lithium is one of the first three elements, produced in the Big Bang . The density of the metal is so low that it can float in water . In 1929 in the USA, when a popular lemon-lime soda drink called 7-up had been released, it was believed to contain Li. However, its use was banned later by the government due to long-term side effects . 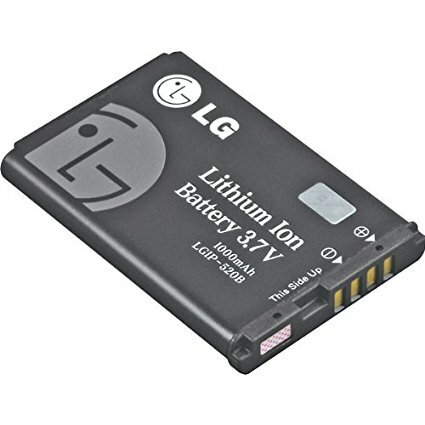 The cost of pure metallic lithium can vary between $6 and $7 per kilogram.